Centrifugal air cleaning system removes larger dust and debris particles before reaching the air filter. X-Torq engine delivers lower fuel consumption and reduced exhaust emission levels in accordance with the worlds most stringent environmental regulations. Great yards demand equipment that's as dedicated and hardworking as you. Fortunately, the Husqvarna range of lawn and garden equipment offers everything from lawnmowers and ride-on mowers to trimmers and chainsaws to let you master your great outdoors. You and Husqvarna - together we will make your yard the envy of the neighborhood. New lightweight and efficient all-round saw ideal for those looking for a chainsaw that is exceptionally easy to start and maneuver. Featuring X-Torq engine for lower fuel consumption and reduced emission levels. Equipped with fuel pump and Auto return stop switch for easier starting. Non-CARB compliant/Not for sale in California. Husqvarna 967650802 435e II 16 in. Chainsaw New -- Authorized Seller. Full Warranty. Money Back Guarantee. 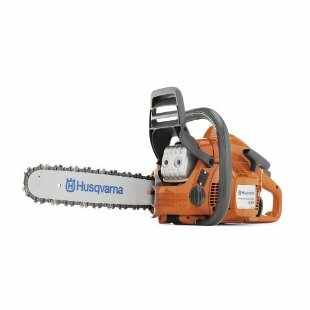 HUSQVARNA 435 16" 40.9cc 2.2hp Gas Powered Chainsaw. Brand New, Free Shippping!! Store: meadowfarmllc Condition: Brand New Price: $329.95 Total Price: $329.95 Buy It from meadowfarmllc No returns. Store: Tracks-USA Condition: New (Open Box, or other) Price: $220.00 Total Price: $220.00 Buy It from Tracks-USA No returns. Husqvarna 435 E Series 435E-II 16" 2.2HP Smart Start 40.9cc Gas Powered Chainsaw -- Free 1-3 Day Delivery With Hassle-free, 30-day Returns! Last updated: April 19, 2019 at 11:44 EST. Pricing information is provided by the listed merchants. GoSale.com is not responsible for the accuracy of pricing information, product information or the images provided. Product prices and availability is subject to change. Any price and availability information displayed on amazon.com or other merchants at the time of purchase will apply to the purchase of the product. As always, be sure to visit the merchant's site to review and verify product information, price, and shipping costs. GoSale.com is not responsible for the content and opinions contained in customer submitted reviews. 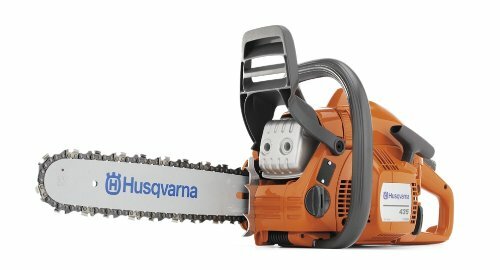 Find similar products to the HUSQVARNA 435 16" 40.9cc 2.2hp Gas Powered Chainsaw. Brand New, Free Shippping! !